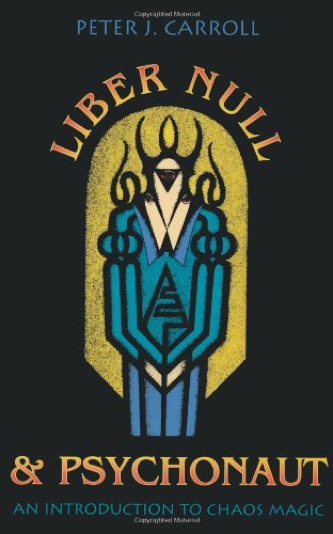 Julianus reviews Liber Null and Psychonaut by Peter J Carroll in the Bkwyrm archive. This seems to be the seminal text of the Chaos Magick movement and is comprised of the instructional papers of the Illuminates of Thanateros (IOT.) Frankly, I don’t think much of it. Much of the material is best described as a paraphrase of Crowley’s Magick in Theory and Practice, without credit and so abbreviated that I doubt a beginning student could really use it successfully. Carroll does include a version of Austin Spare’s sigil Magick in the curriculum but there really is not much original material here. Another thing that struck me is that, while Carroll talks so much about “Chaos” and rants against “dogma,” he is himself one of the most dogmatic writers on Magick I have ever encountered. This entry was posted in Hermetic Library Reading Room and tagged Bkwyrm, books, Julianus, Peter J Carroll, reviews on June 24, 2017 by John Griogair Bell.